Make tough procedures and cases easier. Eliminate unnecessary delay and injury. Save time, money and resources, and - of course - lives. To these ends Diastolic Robotics Incorporated (DRI) works in medicine and engineering, developing drug and device solutions. THASA held sections of the heart still for coronary artery bypass grafting procedures, allowing work to progress off-pump. Drugflow Simulation: Software for the simulation of drug flow in a theoretical patient. Pharmacokinetic modelling: Modelling of concentration-time data. Obstructive Sleep Apnea Screener (OSAS): a tool to assist anesthesiologists and other healthcare staff to determine the likelihood of a patient suffering from sleep apnea. 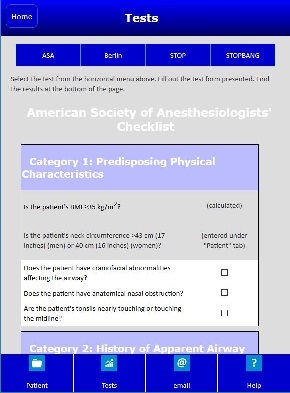 This tool amalgamates several sleep apnea screening checklists and makes them available to the health professional in a mobile format. 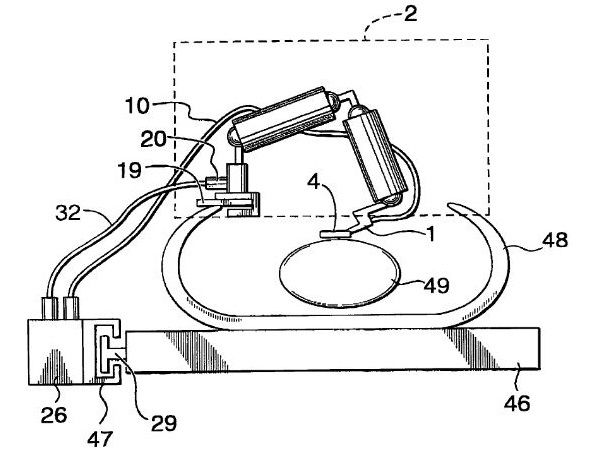 More recently, DRI has been commercializing products for individualizing drug therapies, specifically neuromuscular blockers (NMB) but with many other indications in mind, and other projects in anesthesia. NMB drugs are safe, but subject to frequent incidences of under- and overdosing due to dose-by-weight regimens. We have a solution that reduces these incidences, as we demonstrated in a 60 patient clinical trial. Please view the NMB Projects page for the details. DRI has also been working on other anesthesia products and projects. Please see the Products for Anesthesia page for the details.